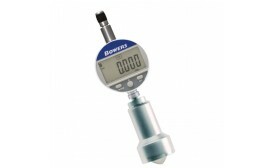 The Bowers SNAPMATIC snap gauge has been designed specifically for quick, reliable and accurate measurement of external cylindrical diameters. 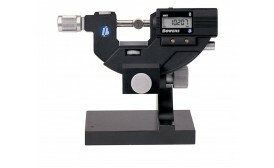 Particularly suitable for use in series production, the instrument is tough and solid enough to use on the machine in the workshop and flexible enough to be used in the measuring room for sample measurements (bench-stand available). 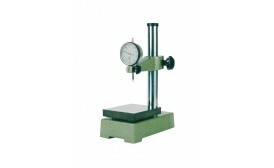 The measuring surfaces are of top-quality tungsten carbide mounted on a no-maintenance spring-operated mechanism. 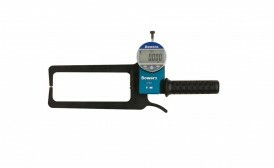 The Bowers Rivet Height Gauge has been specially designed to measure the height of rivets used on aircraft outer skin. If the top of the rivet is too high above or too low below the level of the rivet-hole, the streamlining of the aircraft will be affected. This wind-resistance will be magnified many times depending on the number of rivets present in the outer hull of the aircraft. The rivet-height gauge measures the height of the top of the rivet in relation to the level of the surrounding aircraft skin, enabling tolerances to be maintained and providing a valuable reference measurement to help determine the streamlining of the aircraft and the consequent effects on it's aerodynamics and fuel efficiency. 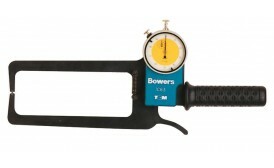 The Bowers Rivet Height Gauge has been specially designed to measure the height of rivets used on aircraft outer skin. If the top of the rivet is too high above or too low below the level of the rivet-hole, the streamlining of the aircraft will be affected. This wind-resistance will be magnified many times depending on the number of rivets present in the outer hull of the aircraft. The rivet-height gauge measures the height of the top of the rivet in relation to the level of the surrounding aircraft skin, enabling tolerances to be maintained and providing a valuable reference measurement to help determine the streamlining of the aircraft and the consequent effects on its aerodynamics and fuel efficiency. 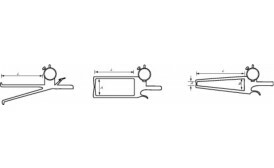 The rigid construction and quality materials used in manufacturing these quality Bowers comparator stands gives the user both a solid component support and a strong fixing for most types of indicator, transducer probe etc.